Placing value bets throughout a poker tournament, if done correctly, can allow you to double or even triple the value of your chip stack. Players place value bets when they have solid hands, but at the same time are also aware that a particular opponent also holds a strong hand. Knowing how to react in these situations can be the difference between winning and losing. The key to value betting is being able to anticipate what kind of bet your opponent will make, and when he will make it. In this sense, the process is like a battle of betting, in which each player tries to bluff against the other one to convince the other player that he or she has the better hand. Even if you know that you have a good hand, it is important to know your limits when placing a value bet. 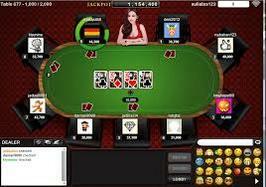 You'll need to be able to calculate the risks of placing a bet, and of re-raising on the flop. Be cautious if another player calls your bet or offers a big raise: if you're not completely sure that you hold the upper hand, you may want to give this round to your opponent and catch up later. When it comes to value betting, practice makes perfect. With time, you'll be able to get a feel for those instances in which it is advisable to play aggressively and continue to bet with your hand, and for those situations in which it seems too risky.